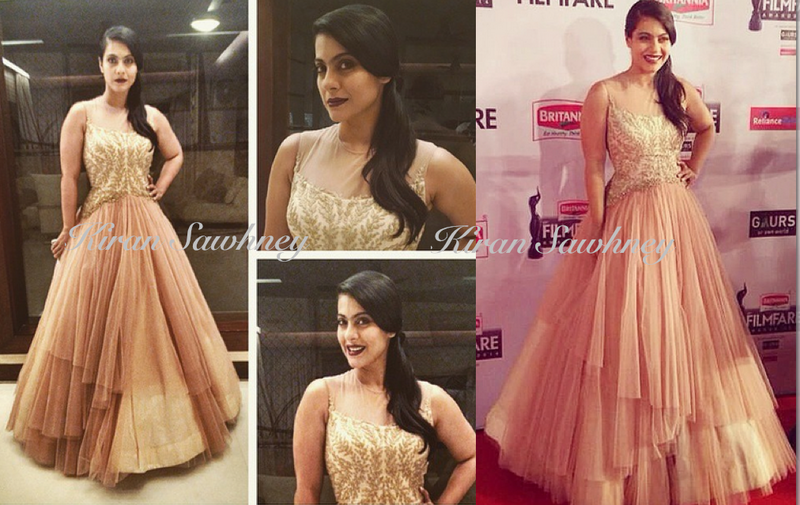 Kajol wore a very princess gown by Shantanu and Nikhil to the filmfare awards. She has been wearing the designer duo's creations quite often recently. She finished the look with side ponytail and maroon lips. You like?